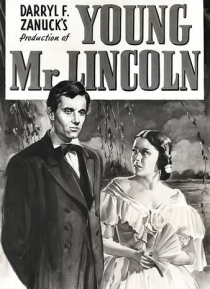 John Ford's fine direction distinguishes this highly fictionalized account of the early life of Abraham Lincoln. The film shows Lincoln as he rises from a country boy born in a log cabin to a lawyer in Springfield, Illinois defending two young men unjustly accused of murder. Henry Fonda perhaps the most American of actors, is at his best playing Lincoln as the quintessential, compassionate America… n hero.